“A right delayed is a right denied”– Martin Luthar King, Jr. 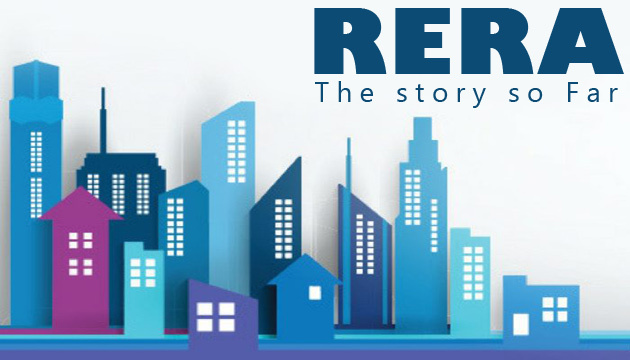 The Indian legislature finally woke up to the problems of Real Estate in the year 2016 with the enactment of Real Estate Regulation and Development Act. The Act was like the knight in the shinning armor for the homebuyers who were stuck at the consumer authorities’ for years. The only hurdle was the enactment and the functioning as it was to be implemented as a speedy act. The story started well and almost all states took initiative and implemented respective authorities and rules within no time. As if now, almost 18 months have passed since the enactment and the central government as well as concerned state governments are far from the intended mark of implementation. The problem with regard to this new act is not single fold rather it is multi fold. The bundles of issues start primarily with the initial hitch of dilution of the central Act by the concerned states. Majority of homebuyers across states have repeatedly complained about dilution of state rules to benefit the developers but the same hasn’t affected the trust of buyers in the adjudicating authorities. If numbers are to be believed in matter of 18 months only there has been more than 4900 complaints have been filed in the state of Maharashtra itself and the story isn’t much different in other state as well. In the state of Uttar Pradesh a whopping 8000+ complaints have been filed. The numbers quite evidently showcase that despite the hurdles homebuyers have high stakes belief in the Act as well as the Authorities. RERA might have had a bumpy ride so far but that does not mean the act is inefficient. The central government along with the state government is putting their best foot forward to create a balance in market along with protecting the interest of aggrieved homebuyers.